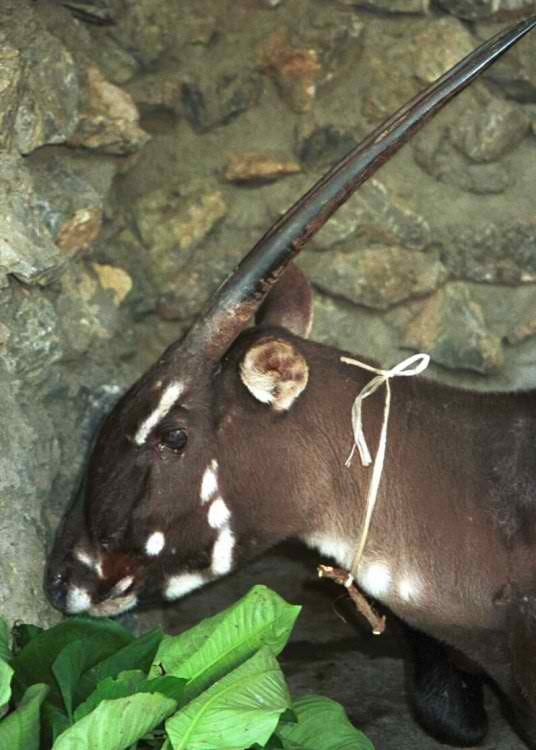 The Saola is one of the rarest mammals that can be found around the world. 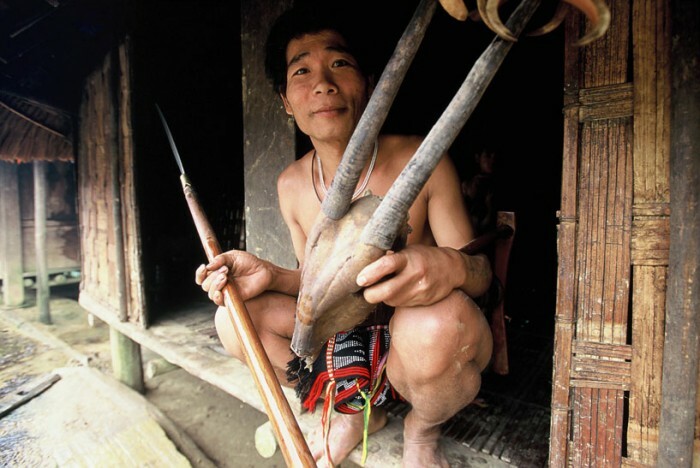 There are many names that are used for calling Saola such as Asian Unicorn, Vu Quang ox and Vu Quang bovid. 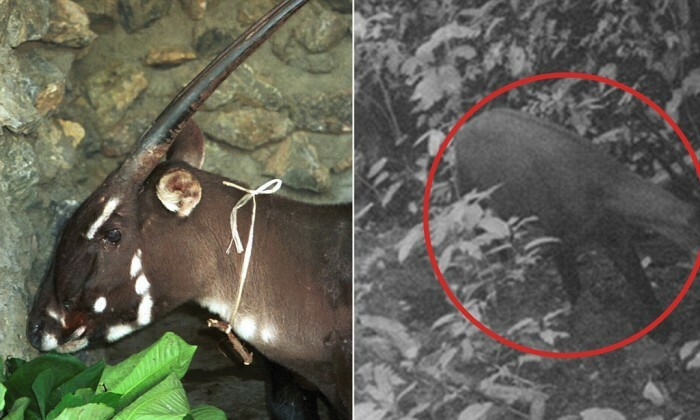 Saloa is known as a forest-dwelling bovine that lives in forests only. Saola is an antelope that is not a sheep, bison, goat, buffalo or cow but it looks like them. Saolas prefer eating small leafy plants especially the leaves of fig trees. The precise number of the Saolas that are alive is not known but there are 11 of them that are recorded to be alive. 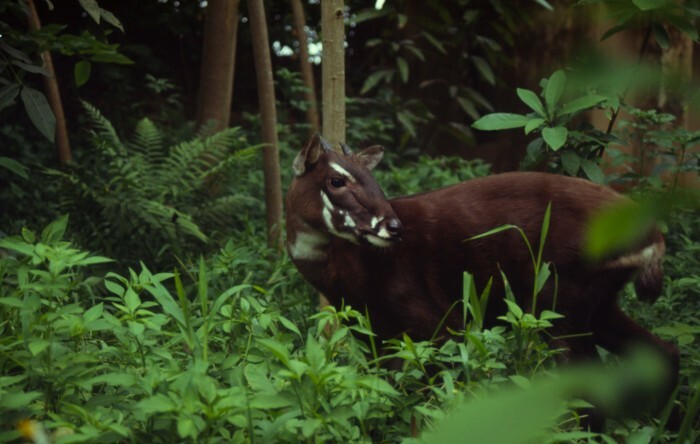 This number is shocking and shows you that Saola is on its way to disappear for ever. 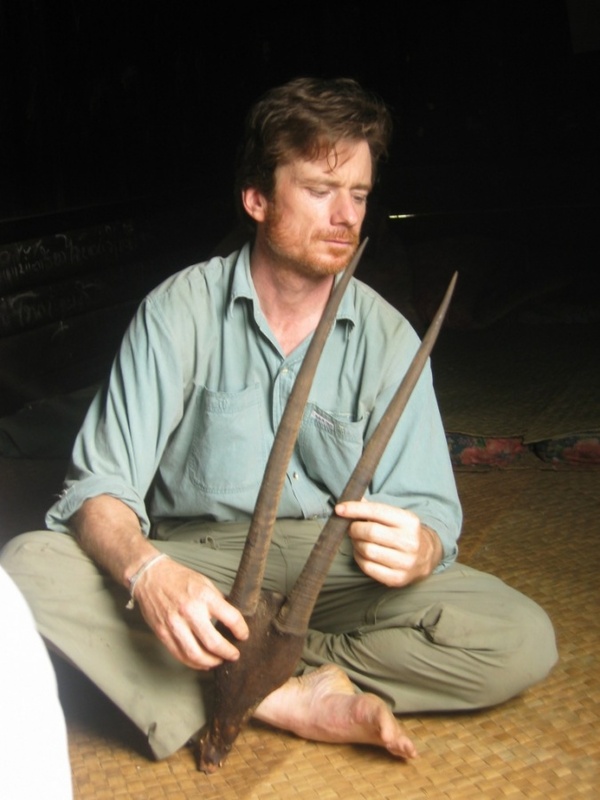 The average length of an adult Saola is bout 150 cm, the approximate weight is 90-100 while its tail is about 25 cm. 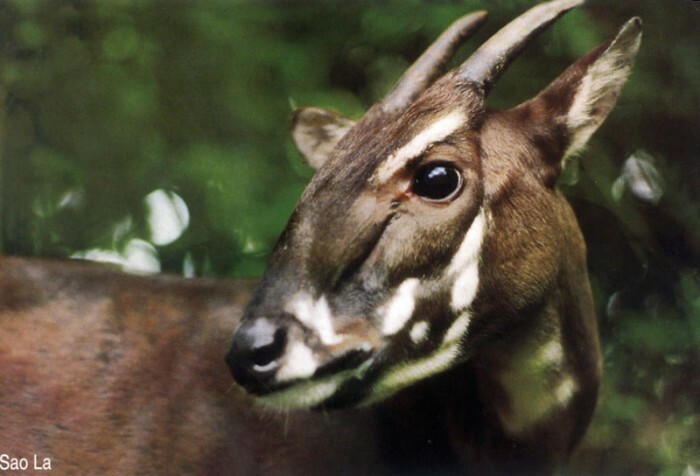 Saola species does not spread in different areas around the world as they can be found in the Annamite Range of Laos and Vietnam and in the Eastern Indochina dry and monsoon forests only. Finding this species in specific areas makes these Saolas rare and threatened to be extinct. 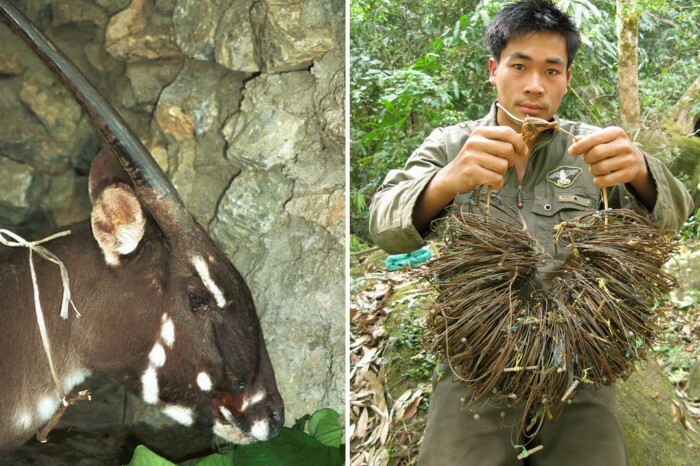 This species has been recently discovered and defined as this was in 1992 when a team of the World Wide Fund for Nature and the Ministry of Forestry carried out a survey in Vũ Quang Nature Reserve. 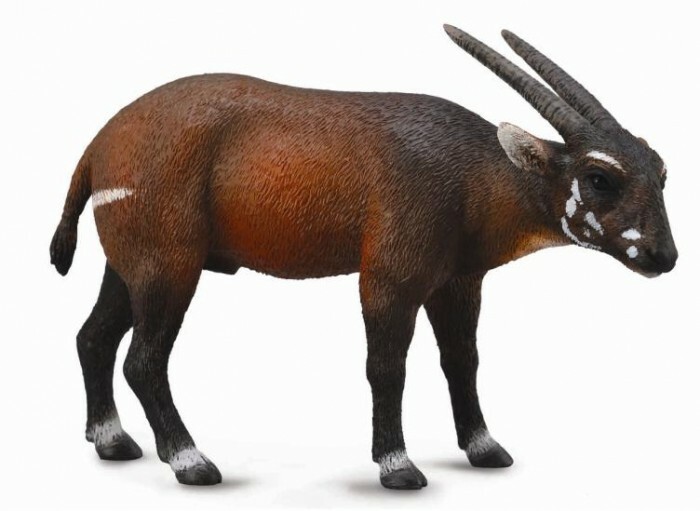 They found in hunters’ houses remains for this species and these remains were three skulls with strange horns which are long and straight. 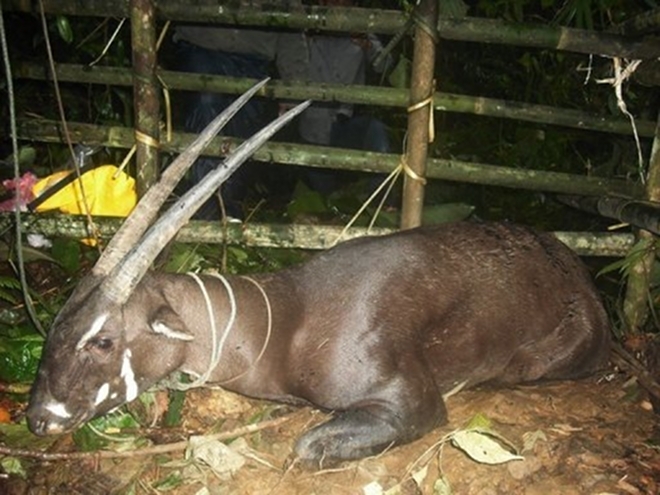 The villagers of Laos succeeded in August 2010 to find a Saola and capture it, but unfortunately it died even before being released by the government conservationists to return back to the wild. 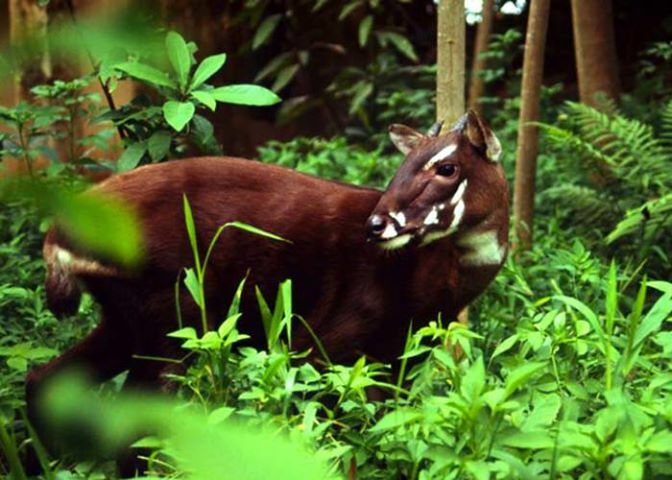 In September 2013, a camera trap that was set by the Vietnamese government’s Forest Protection Department and World Wide Fund for Nature captured a photo for a living Saola in the wild and this photo gave scientists hope that the Saola is still alive and is on its way to recover and return back. 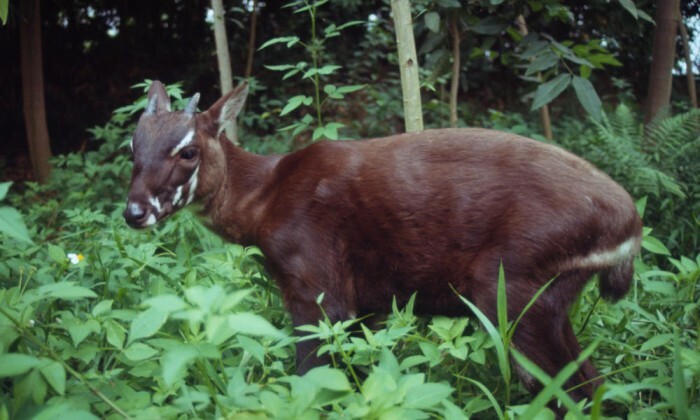 The regions in which Saola can be found are noticed to be totally away from those places which are inhabited by human beings. 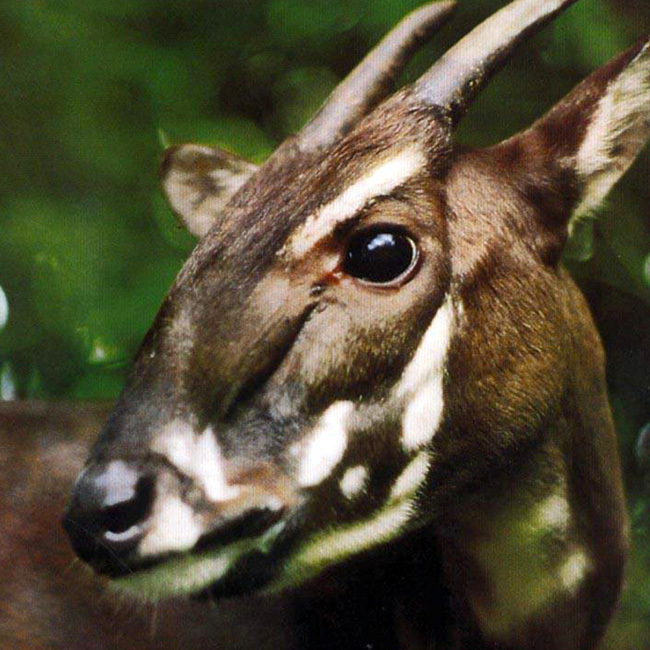 Saola can be described as a shy, quiet, human-friendly and free creature. It is shy because it does not go near villages which are inhabited by villagers and does not even enter cultivated fields to eat crops like other animals. 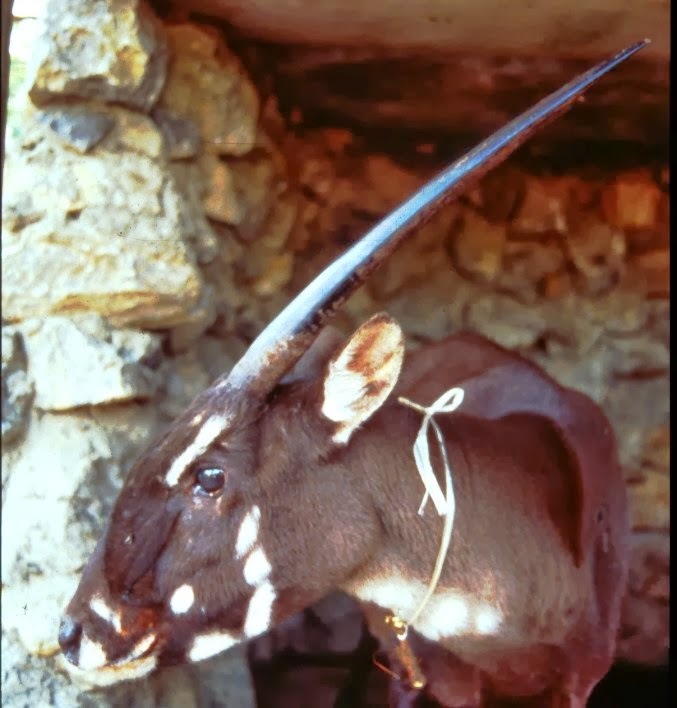 It also deserves to be described as a free creature because each time a Saola is captivated, it dies without any reason and that is why the Saola is thought to be unable to stay alive in captivity even if it is for a short time and not forever. What Whipsnade Zoo Leaves Its Animals to Do!